Welcome trick-or-treaters with theatrical flair, but beware - these stakes are for your lawn, not for vampires! 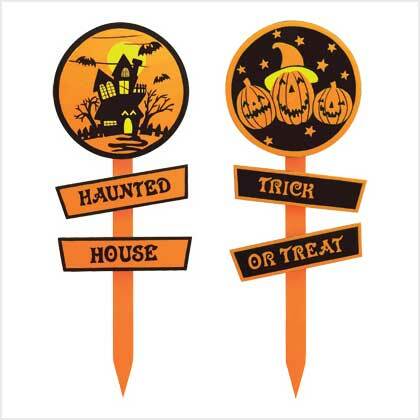 Bold black-and-orange signs display your spooky spirit to one and all; haunted-house and jack-o-lantern graphics are sure to bring a delectable shiver to the heart of every trick-or-treater! 14" wood stakes with pointed ends easily insert into your lawn. Each is 5 1/8" x 1/2" x 14" high. Set of 2. 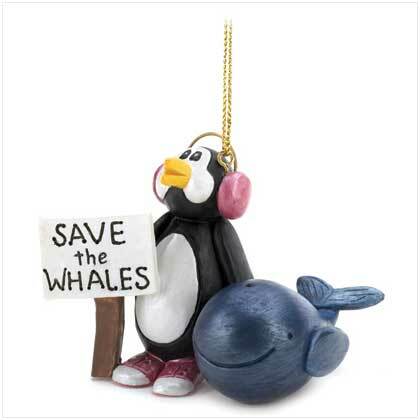 Retail Price: $7.95.